SHOULD THE COACH OF THE CANADIENS BE ABLE TO SPEAK FRENCH? Saturday morning, Jacques Martin, who speaks French was fired as coach of the Canadiens. He was replaced by Randy Cunneyworth who is unilingual English. The decision has ignited a firestorm of criticism. Former players and team executives, nationalist groups and the francophone fraternity of sports writers were quick with condemnation, saying bilingualism is a necessary qualification for the post. Sportswriter Philippe Cantin led the charge. “It’s not simply a hockey team. It’s an institution. Like all institutions, it has responsibilites that go beyond being a hockey team in the market”. One of those responsibilities is that the coach should speak French. Let’s put this in perspective. Can you imagine the Toronto Maple Leafs hiring a coach who can’t speak English? SHOULD THE DESIGNATED HOCKEY FIGHTERS BE BANNED? In the last few months three retired hockey enforcers have died – two to suicide and one to an overdose of pills and alcohol. These enforcers are paid bick bucks to pro tect their team’s stars on the ice – with their fists if necessary. For example, Wade Belak, 28, who hanged himself this week in a luxury Toronto hotel, had 136 fights. The blows that all these men took to their heads have never neen counted. But science has demonstrated that there is a link between concussion and depression, personality changes and memory loss. Even if fighting in hockey is permitted to continue – in the heat of the moment – is it high the enforcer’s role should now be banned? One simple and easy way to do that would be to reduce the size of each team,’s roster by one or two players. Then it would be harder for a team to carry a player like Mr. Belak who garnered only 33 scoring points over 14 seasons. 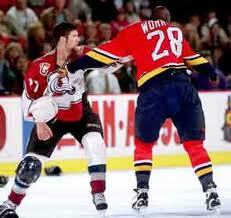 Should the designated hockey fighter be banned? ARE THE VANCOUVER ‘CANUCKS’ NOW CANADA’S TEAM? Last night Vancouver took a two-game lead into the Stanley Cup final with Boston. Canadians are beginning to smell a Stanley Cup. It has been a long time since a Canadian team hoisted the Cup. 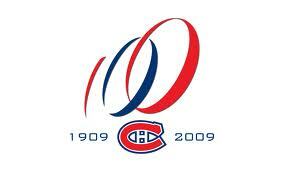 The Montreal Canadians last did it in 1993. There has been some discussion as to whether Vancouver is Canadia’s team. The Globe and Mail says it is the duty of all patriotic Canadians to cheer the Canucks on. Are you a patriotic Canadian? Do you believe it is your duty to cheer the Canucks on? When I first started to follow professional hockey many years ago, there were only six teams in sight – two of them in Montreal. Not an American team in sight. Now most of the teams are American interlopers and the boss of the NHL is a hard-boiled American legal gun named Bettman who is paid millions to run what was once a Canadian league. Bettman moved the NHL offices to New York where he spends most of his time. Considering how little of the Canadian element in hockey still survives, should we all be cheering on the Vancouver ‘ Canucks’.